Whoever scheduled all the softer folk acts for Sunday morning (July 23) is a genius: They were the perfect balm to soothe the aching heads of those who had been partying hard the night before. 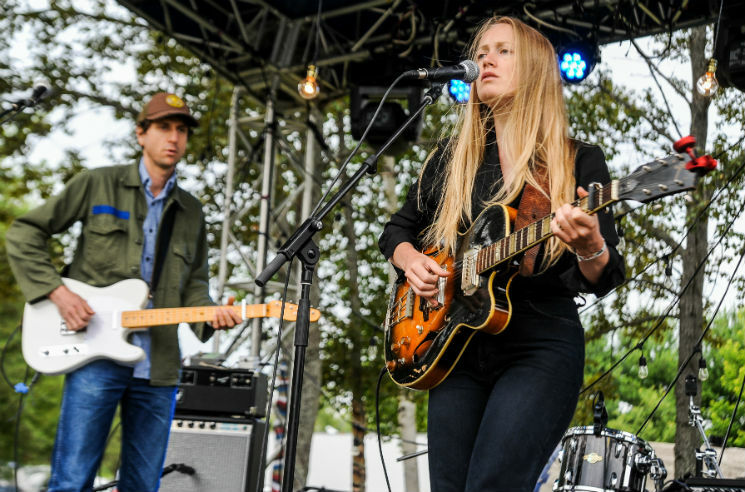 Tamara Lindeman, better known as the Weather Station, took on the role of healer to the many ailing, delivering a calming set of material new and old. Joined by guitarist Will Kidman (Constantines), the duo's set was largely culled from 2015's Loyalty and their newly-announced self-titled record, due in October. Though Lindeman has described the upcoming album as her version of a rock'n'roll record, there was neither rock nor roll — just two guitars and Lindeman's lilting, breathy voice. The stripped-down renditions were pleasant but often faded into the background, lacking the subtle command more present in fuller-band renditions. But it did allow more focus on her lyrics: A slower version of opening track "Way It Is, Way It Could Be" exposed more heartbreak and longing, while set-closing new single "Thirty" was more wistful than its breezy studio version. As a hangover cure, it got the job done.